Mel Tormé was a singing, writing, and recording dynamo during the 1940s and '50s, and any set would need many more discs than just four to collect his work. 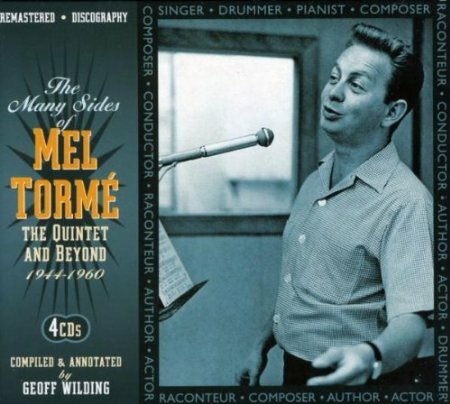 That said, The Many Sides of Mel Tormé goes a long way, functioning as one of the very best extended surveys of his early career. Included are several discs' worth of his earliest recordings (with vocal group the Mel-Tones or otherwise), plus a pair of '50s LPs (one originally on Verve) to take Tormé's story into the era when his career matured and peaked. All of the great Mel-Tones sides are here, some of the best recorded with Artie Shaw, like the alternately smooth and supercharged "What Is This Thing Called Love." The beginning of his true solo career comes next, and the birth of the Velvet Fog with "Careless Hands," "Night and Day," "The Old Master Painter," and "A Foggy Day." Disc three includes his full-length work The California Suite, plus some small-group sides that showed his growing skill with nimble vocal lines ("Goody, Goody," "Mountain Greenery"). The set concludes with two discrete LPs, one originally released in 1957 as Prelude to a Kiss (and re-released numerous times later) and the other a Latin-themed LP with Billy May (1959's Olé Tormé: Mel Tormé Goes South of the Border with Billy May). Both are strong albums, if not at the level of his peak recordings for Bethlehem and Verve. 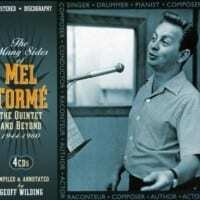 Altogether it's an entertaining and invigorating set of Mel Tormé's first 15 years of recording, finding his way in the vocal arts.